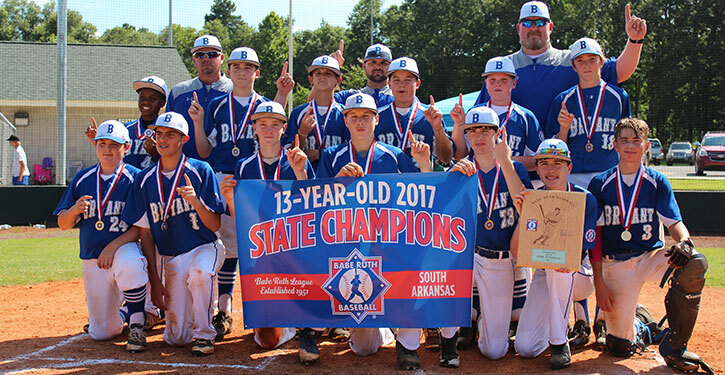 ARKADELPHIA — The Bryant Athletic Association All-Stars captured the South Arkansas 13-year-old Babe Ruth State Tournament championship on Sunday with an 11-4 romp over the Clark County All-Stars. 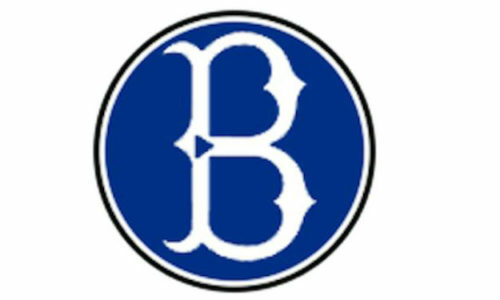 The victory completed a sweep by the Bryant team through the tournament. 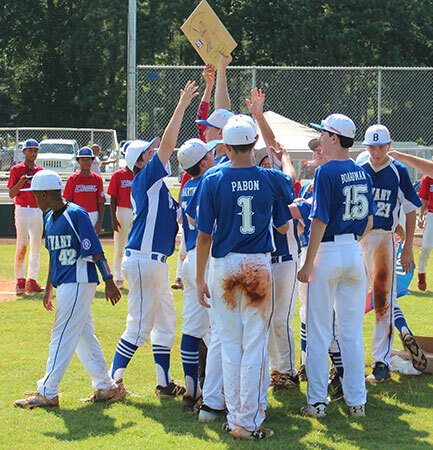 They advance to Regional play at Lincoln, Ala., started July 21. The team, coached by Jason Greiner, includes Chase Boardman, Chandler Boardman, Brayden Boyce, Gavin Burton, Caleb Greiner, Drew Hatman, Connor Martin, Colby Morrow, Calvin Myles, Kyler Pabon, Cade Parker, J.T. Parker and Hayden Thompson. After falling behind Clark County by a run in the first inning, Bryant built an 11-2 lead going into the bottom of the sixth inning. Clark County stayed alive with another run then scored again in the bottom of the seventh. But it was too little, too late as Bryant celebrated its championship. Pabon had three hits in the game. 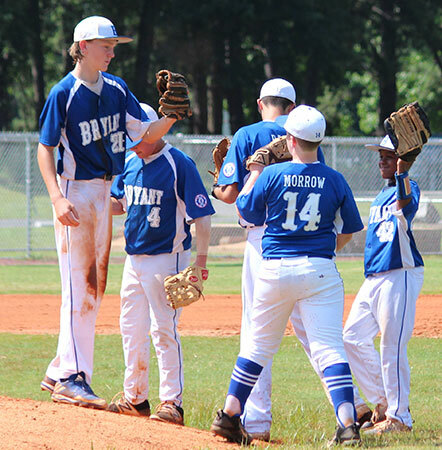 Caleb Greiner and Colby Morrow added two apiece with Morrow knocking in a pair. J.T. 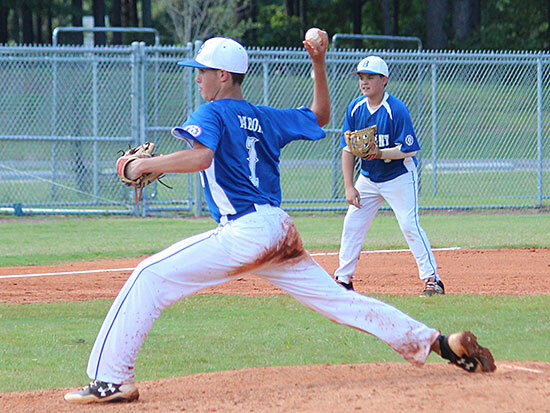 Parker picked up the win, working into the seventh inning. He allowed four runs but just one of them was earned. He scattered six hits, walked two and fanned one. Pabon relieved with one out in the seventh and finished off the victory. Clark County took a 1-0 lead in the bottom of the first on a three-base throwing error and a groundout. Bryant took the lead in the second. With two down, Greiner and Thompson cracked consecutive singles. Hatman walked to fill the bags for Myles who drilled a two-run single. 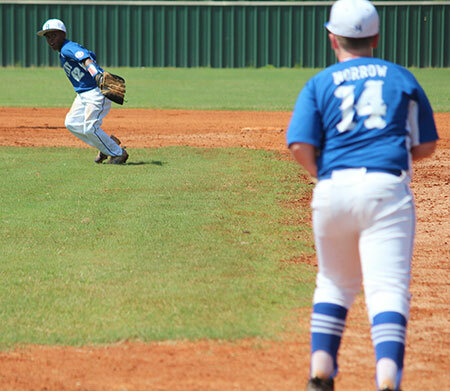 Clark County was set down in order in the bottom of the second by Parker and his teammates on defense. 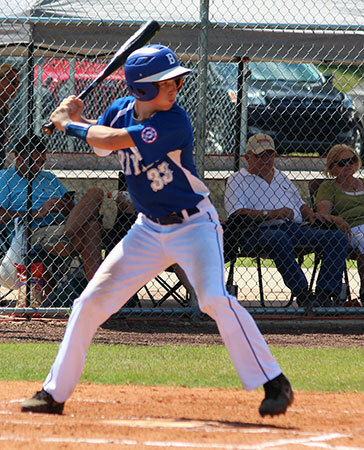 In turn, Bryant tacked on a pair of runs in the top of the third. Burton walked and Pabon reached on an error. Morrow’s knock loaded the bases. Burton scored on a passed ball then Pabon did as well as Morrow got to third. J.T. Parker drew a walk and Morrow scored on an errant throw. J.T. Parker took second on the miscue then Cade Parker sacrificed him to third. Greiner singled to make it 6-1. Despite a lead-off walk and an error that had a man at third with one out, Clark County was held in check by J.T. Parker. A one-out walk to Martin set up another scoring opportunity for Bryant in the top of the fourth. Burton walked as well the Pabon singled to right, loading the bases. Martin scored on Morrow’s sacrifice fly then Burton came in on J.T. Parker’s grounder to third, making it 8-1. Clark County had a double and a hit batsman in the bottom of the fourth but could not score as J.T. Parker worked out of the jam by inducing a fly to Hatman in left and another to Martin in center. Clark County would score another run in the bottom of the fifth on a pair of singles and a groundout. A walk to Martin set up more scoring for Bryant in the sixth. 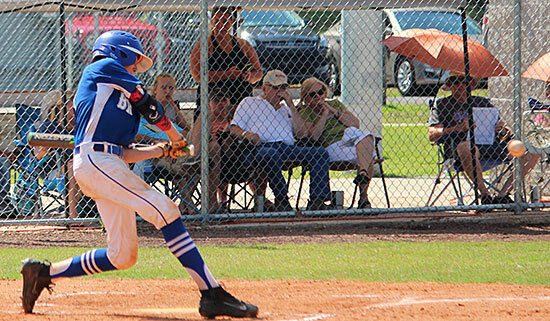 Chandler Boardman came in as a pinch-runner and swiped second then scored on Pabon’s one-out drive to center. Pabon stole second and reached third on a passed ball before scoring on a single to center by Morrow to make it 10-2. With two down, Cade Parker’s pop up was dropped and Boardman scored. An unearned run in the bottom of the sixth made it 11-3. In the seventh, a one-out error gave Clark County some hope. A double and a walk had the bases loaded. Pabon came on in relief but another error allowed a run to score. Pabon then struck out the next batter and ended the game by getting the batter to ground to short for a force at second.